please read this Notice of Deadline and Proof of Claim Form . please contact the Vicar General’s Office at 505-831-8158. Served by Sons of the Holy Family Priests. Click on the previous link to learn more about our church, its leadership, and its programs. Belonging to the Diocese of Santa Fe, La Iglesia de Santa Cruz de la Cañada (Holy Cross Catholic Church) guided by the Holy Spirit and the word made flesh, and centered in the Eucharist, fount of holiness, we, the community of Santa Cruz De La Cañada, build families rooted in the values of the Holy Family of Nazareth to bear fruit for the Kingdom of God. Rev. 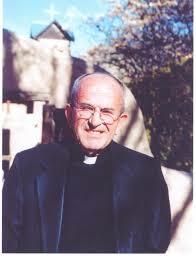 Casimiro Roca-Toscas, S.F., former rector of el Santuario de Chimayo, NM, died August 4, 2015. At the time, he was at home in the rectory at Holy Family Church, with his brothers Sons of the Holy Family and caretaker, who have been helping him for several years. He had celebrated his ninety-seventh birthday eleven days earlier. After thirty three active years living in Spain and Italy, Fr. Roca came to Chimayo in 1954. For fifty-two of the next sixty years, he worked at restoring the Shrine, greeting pilgrims and hearing their confessions, blessing their vehicles and religious articles. He contributed to the Shrine becoming a Registered National Historic Landmark. Along the way, he helped, found, and named Holy Family Parish in Chimayo, NM. He also spent more than seven years serving Our Lady of Peace Parish in Greeley, Colorado. Father Roca will be lying in repose on Tuesday, August 11, 2015 from 9:00 a.m. to 2:00 p.m. in the Sangre de Cristo Chapel of DeVargas Funeral Home & Crematory and again from 3:00 p.m. to 7:00 p.m. at the Holy Family Catholic Church in Chimayo where a wake service will also be held at 7:00 p.m. Mass of Resurrection will be celebrated on Wednesday, August 12, 2015 at 11:00 a.m. also at Holy Family Catholic Church in Chimayo. Interment of ashes will be held on Thursday, August 13, 2015 at La Iglesia de Santa Cruz de la Cañada. One month anniversary mass will be celebrated on Sunday, September 13, 2015 at 12:00 p.m. at the Santuario Catholic Church in Chimayo. The Sons of the Holy Family thank the people of Gentiva Hospice for their attention to Fr. Roca in the last month of his life. Funeral services are entrusted to DeVargas Funeral Home & Crematory of the Española Valley. Click image to access blog for more information about the book and to watch a YouTube DVD trailer. The Santa Cruz de la Cañada Historical Working Group is excited to announce that the long awaited Book & DVD “La Iglesia de Santa Cruz de la Cañada 2nd Edition (1695-2015) - Celebrating 320 Years of Parish History” has been released. 3. Mail orders by sending check or money order to the parish office at the address below. Online orders are using the “Online Giving Method”. On step 4 of the process under gift type, enter “One Time Gift”, follow instructions, and enter the price of $45 which includes S&H. This order method allows accounting to separate and distinguish online book purchases.